Christopher John Francis Boone knows all the countries of the world and their capitals and every prime number up to 7,057. He relates well to animals but has no understanding of human emotions. He cannot stand to be touched. Although gifted with a superbly logical brain, Christopher is autistic. Everyday interactions and admonishments have little meaning for him. Routine, order and predictability shelter him from the messy, wider world. Then, at fifteen, Christopher's carefully constructed world falls apart when he finds his neighbor's dog, Wellington, impaled on a garden fork, and he is initially blamed for the killing. Christopher decides that he will track down the real killer and turns to his favorite fictional character, the impeccably logical Sherlock Holmes, for inspiration. But the investigation leads him down some unexpected paths and ultimately brings him face to face with the dissolution of his parents' marriage. As he tries to deal with the crisis within his own family, we are drawn into the workings of Christopher's mind. And herein lies the key to the brilliance of Mark Haddon's choice of narrator: The most wrenching of emotional moments are chronicled by a boy who cannot fathom emotion. The effect is dazzling, making for a novel that is deeply funny, poignant, and fascinating in its portrayal of a person whose curse and blessing is a mind that perceives the world literally. It was 7 minutes after midnight. The dog was lying on the grass in the middle of the lawn in front of Mrs Shears' house. Its eyes were closed. It looked as if it was running on its side, the way dogs run when they think they are chasing a cat in a dream. But the dog was not running or asleep. The dog was dead. There was a garden fork sticking out of the dog. The points of the fork must have gone all the way through the dog and into the ground because the fork had not fallen over. I decided that the dog was probably killed with the fork because I could not see any other wounds in the dog and I do not think you would stick a garden fork into a dog after it had died for some other reason, like cancer for example, or a road accident. But I could not be certain about this. I went through Mrs Shears' gate, closing it behind me. I walked onto her lawn and knelt beside the dog. I put my hand on the muzzle of the dog. It was still warm. 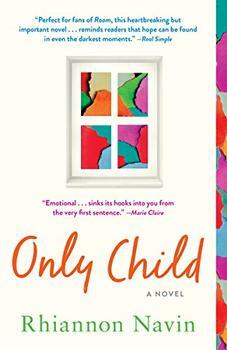 How do you think this novel bridges the gap between literature for adults and children? What do you think Haddon's illustrations add to the story and to our understanding of Christopher's character? Although seemingly ill equipped as the narrator of a book, Christopher's character succeeds in eliciting a wide range of emotions in the reader. How do you think Haddon uses his protagonists voice to touch his audience in such a way? Discuss the relationship between father and son in the novel. How well do you think Christopher's father copes with his son's condition? In choosing to make Christopher his narrator, Mr. Haddon has deliberately created a story defined and limited by his hero's very logical, literal-minded point of view. The result is a minimalistic narrative -- not unlike a Raymond Carver story in its refusal to speculate, impute motive or perform emotional embroidery. Mark Haddon's stark, funny and original first novel...is presented as a detective story. But it eschews most of the furnishings of high-literary enterprise as well as the conventions of genre, disorienting and reorienting the reader to devastating effect. ... an eye-opening work in a unique and compelling literary voice. Narrated by the unusual and endearing Christopher, who alternates between analyzing mathematical equations and astronomy and contemplating the deaths of Wellington and his mother, the novel is both fresh and inventive. The novel is being marketed to a YA audience, but strong language and adult situations make this a good title for sophisticated readers of all ages. Highly recommended for all fiction collections. A kind of Holden Caulfield who speaks bravely and winningly from inside the sorrows of autism wonderful, simple, easy, moving, and likely to be a smash. I have never read anything quite like Mark Haddon's funny and agonizingly honest book, or encountered a narrator more vivid and memorable. I advise you to buy two copies; you wonðt want to lend yours out. The Curious Incident brims with imagination, empathy, and vision -- plus it's a lot of fun to read. Mark Haddon's portrayal of an emotionally dissociated mind is a superb achievement. He is a wise and bleakly funny writer with rare gifts of empathy. For fans of Room and the novels of Jodi Picoult, a dazzling, tenderhearted debut about healing, family, and the exquisite wisdom of children, narrated by a six-year-old boy who reminds us that sometimes the littlest bodies hold the biggest hearts, and the quietest voices speak the loudest. 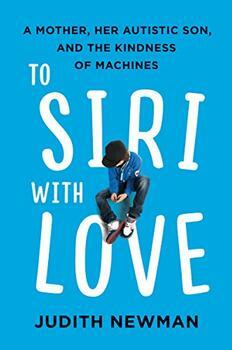 From the author of the viral New York Times op-ed column "To Siri with Love" comes a collection of touching, hilarious, and illuminating stories about life with a thirteen-year-old boy with autism that hold insights and revelations for us all.